Designer Jean Shorts by Glimms. You’ll fall in love at first zip in these designer jean shorts. Featuring extra long zippers running on both sides of shorts. Denim fabric is distressed and faded for a casual denim look. Designer jean shorts constructed with belt loops and zipper fly. Includes front and back pockets with carefully frayed hems. Designer jean shorts are designed with the perfect length that hits right at the knee. 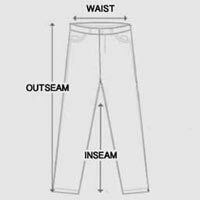 Medium blue washed jeans treated with contrasting thigh whiskering. Show off this summer’s in-jean-iously designed designer jean shorts.